Hope you have an awesome day even though you insist that you will never age past 29. Ummmm.....yeah....that's all I've got today. I know.... I'm lame. 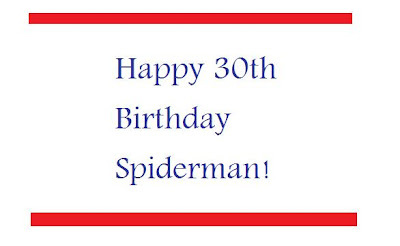 Happy belated birthday Spiderman...It will be a lot harder to scale those buildings at age 30!